After The Launching news of samsung galaxy M20 in india or pakistan . 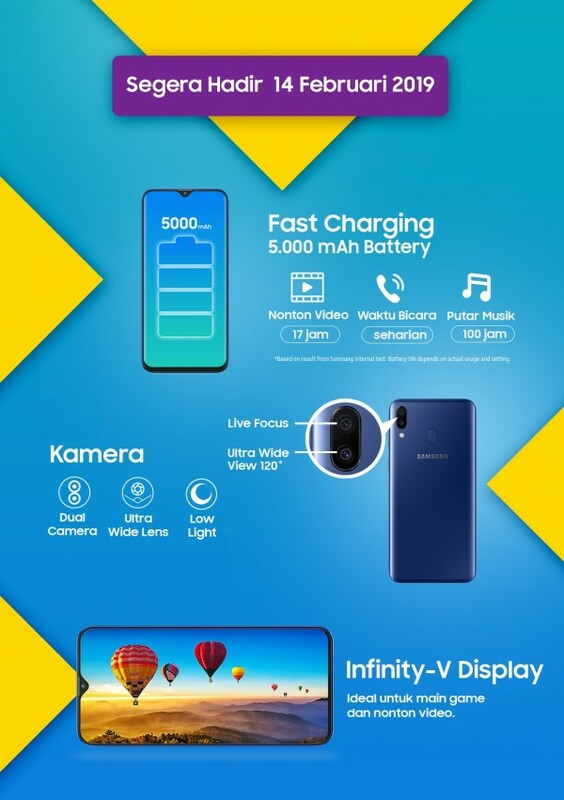 now we revived a news that samsung mobile launching the galaxy M20 in Indonesia with a large and better performance bettery 5000 mAh . Indonesia JD has the following poster up on a landing page with the February 14 date when the Galaxy M series will be available for sale. Samsung Galaxy M series is a Samsung’s newest mid-range tier which first launched in India in late-January. 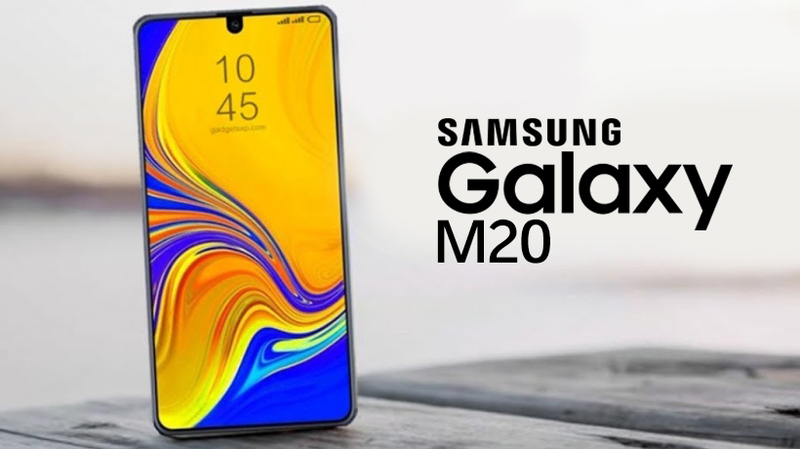 The Galaxy M20 has a 6.3-inch IPS LCD screen with a waterdrop notch and an 8MP selfie camera. On the rear is a rear-mounted fingerprint scanner next to a 13MP + 5MP Wide dual camera setup. Powering the M20 is an Exynos 7904 with either 3GB or 4GB of RAM and 64GB of internal storage.